Financial institutions need the high-end level of security that ASN provides. With a full line of banking equipment and all-inclusive security solutions, financial assets are safeguarded; transactions are easy, safe and profitable. We’ll provide and install a customized security solution designed specifically to safeguard your financial institution. Drive-up Equipment – We combined high performance and cutting-edge technology to deliver fast transaction time and extended turbine life. State-of-the-art design provides excellent customer visibility and reduces operator fatigue. The night locking mechanism simultaneously secures the customer unit and the teller station. 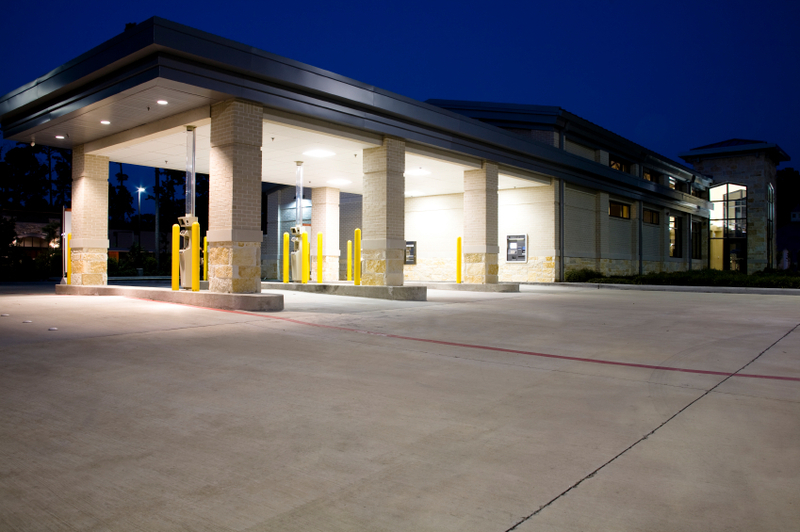 Drive-up Banking – Provide your drive-up customers with unobstructed views and clear 2-way communication. Innovative technology and design uses enhanced video to keep customers safe and promote your services. Traffic Controllers – Intensely bright LED traffic controllers are compact and well-suited for use in all lighting conditions. LEDs offer a wider viewing angle than standard LEDs and have an exceptionally long life, estimated at 100,000 hours of continuous use. Under-counter Steel Receiving Safe – Interiors provide tellers with versatility and value. The space-saving, all steel construction combines the functional secure storage of teller cash trays, cash and coin. Safes – Bringing together the highest combination of security along with functionality and aesthetics, ASN provides solutions guaranteed to protect your facility’s assets. At ASN, our equipment professionals are ready to assist you in designing a safe that will meet your security needs. Our safes use high tensile, shotblasted steel and meet all UL requirements. Vault Panels – Panels are poured using ultra high strength concrete. Materials are continuously tested to ensure consistency in quality. The 5” thick, high strength vault panels provide the same strength as standard 12” thick reinforced concrete panels but require much less space. Vault Doors – Vault doors feature stainless steel clad exterior trim and concealed combination locks, for optimum appearance and endurance. An emergency ventilator provides added safety. Doors are manufactured using steel backing, ultra high strength reinforced concrete, premium quality snap action, re-settable three movement time locks, thermal relockers, heat sensor, bolt sensing door contact switch and daygate as standard features. Safe Deposit Boxes – These safe deposit boxes will enhance the operation of any vault. Combining the ultimate in modern design and installation flexibility, safe deposit boxes are equipped with the convenience of an UL listed double key changeable dual nose lock.